WordPress 5.0: What can we expect from the latest update? Christmas is just around the corner and the new WordPress update is a real gift for developers and website users everywhere. Webrevolve’s Front End Developer Kyle Maguire takes a look at what we can all look forward to. 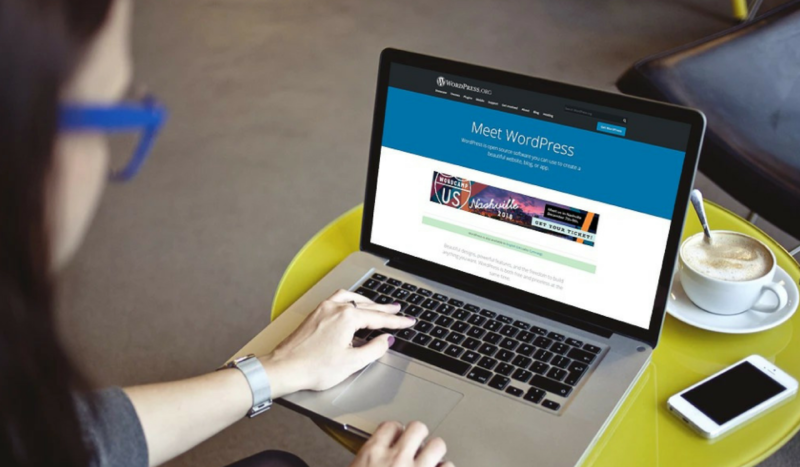 Each time a new version of WordPress rolls out, it’s fair to say it brings with it something of a buzz. 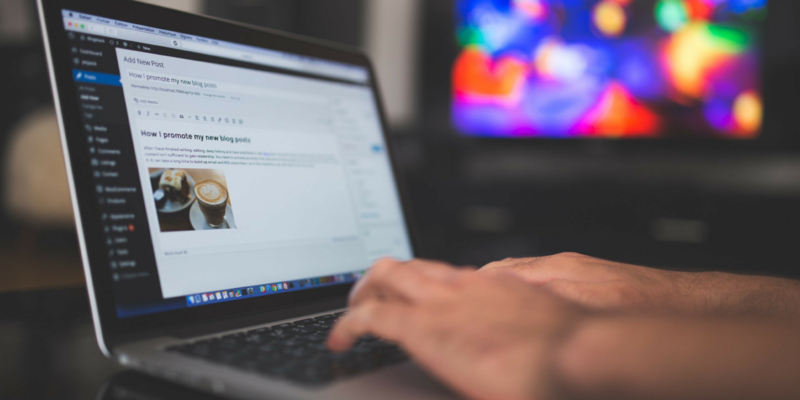 However, few versions in the past have created as much of a stir as WordPress 5.0 thanks to the introduction of some rather fascinating features. Long-term users of WordPress will be more than aware that there have been several changes to the platform down the years. The 4.9 ‘Tipton’ update allowed users to schedule design changes so they can go live at later dates while WordPress 4.8 brought with it three dedicated media widgets for image, audio, and video files. All pretty insignificant changes in the scheme of things, which did little to change the user experience of WordPress, but all that is about to change with the release of WordPress 5.0. and a certain Gutenberg Editor. What can we expect from WordPress 5.0? Probably the most exciting feature in a long time is a completely overhauled editor which goes by the name of Gutenberg and will apparently allow for a more user-friendly approach when adding content to your website. The main concept behind the new editor is the use of modular blocks which can be added, removed and even moved to different areas of the page to create a more dynamic and enticing website for users to enjoy. 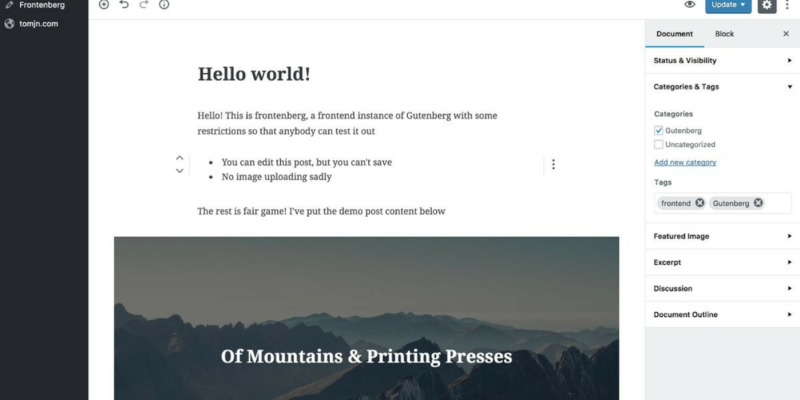 As well as easy-to-use content blocks it’s likely that Gutenberg will also bring about changes to a lot of WordPress’s plugins and themes which will now need to be ‘Gutenberg-friendly’ to take advantage of all the new features which the editor offers. We also expect to see some improvements to the WordPress Rest API, which helps developers create more feature-rich products by making it easier to send and pull data from your website. This should mean that developers are able to create applications using the platform as a framework. WordPress 5.0 will upgrade automatically for a large number of its users who have their site set to ‘Auto-update.’ However, for those more security-conscious amongst us, the update will be available on the backend of your website, located on the dashboard, and should be relatively straightforward to find and install. Of course, as with any change to the status quo, it will take some time to get used to, especially for site owners who are more used to just adding a bit of content to the backend of the site and then hit publish. But the key is to get to know the new editor and features as soon as possible if you are to make the most of what they have to offer. After installing WordPress 5.0 make sure all of your existing site plugins are still working. It sounds obvious but sometimes updates can affect the functionality of software, so it’s best to eliminate any potential problems before any harm is done. It’s also recommended that you backup of your site including WordPress as, if you choose to keep your site on an older version of WordPress it could leave it open to potential security threats. Then, once you’ve installed 5.0, the best advice is to have a quick play around with the Gutenberg Editor to see what it (he?) offers, though it’s probably wise to do this on a local version of your site to avoid any issues on the live site. The WordPress team has been keen to move away from scheduled releases in recent times to remove the pressure on meeting deadlines and reduce the number of updates that seem as though they lack any worthwhile changes. As it stands, WordPress 5.0 is scheduled to drop as early as November 27, 2018, though these guys don’t like rushing into things and that date could be pushed back to January if needed. If you’re someone who doesn’t like to move with the times then you’ll be able to stick with the classic WordPress editor for the foreseeable future. However, it’s pretty clear that 5.0 will fundamentally change the way many of us interact with WordPress thanks to the new Gutenberg Editor; so it’s probably better to embrace the change as soon as possible.